First Listen: Ty Segall, 'Sleeper' In the wake of his father's death, the prolific garage-rock revivalist returns with a heartfelt album. Titled Sleeper, it's deeper, darker and more emotional than anything the singer and guitarist has released so far. Ty Segall's new album, Sleeper, comes out August 20. 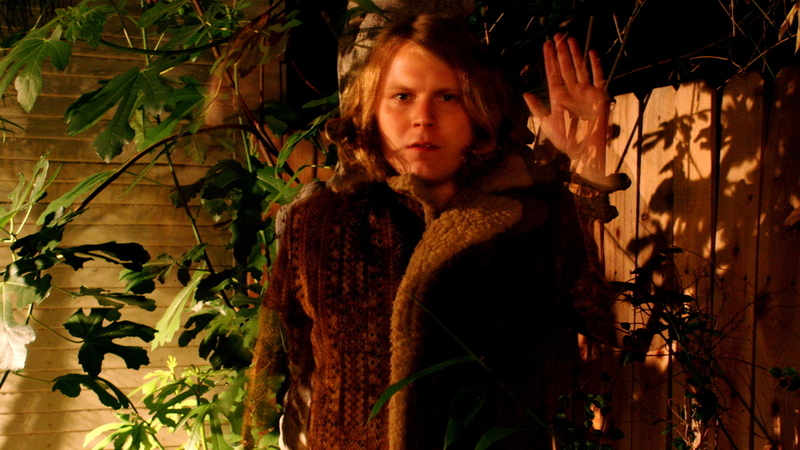 It's hard to keep up with Ty Segall. The garage-rock revivalist is just 26, but has already released more than a dozen full-length albums, either under his own name or with the eight or nine (we've lost track) other bands with which he plays. (Sic Alps, White Fence and Epsilon are just a few of them.) Last year alone, he put out three stellar albums, then promptly kicked off 2013 by announcing in January that he'd formed yet another new band called Fuzz. A lot of musicians might be ready for a break, but Segall is back again this month with yet another full-length album under his own name. Out August 20, it's called Sleeper, and it's deeper, darker and more emotional than anything the singer and guitarist has released so far. Segall wrote the 10 mostly acoustic tracks for Sleeper after losing his father to cancer last year and relocating to Los Angeles to be closer to his younger sister. He's since had a falling-out with his mother, with whom he says he's no longer on speaking terms. Segall works through this emotional upheaval on Sleeper, and while he trades his normally scorched electric noise for gently strummed acoustic guitars, he doesn't indulge in mopey confessionals. The songs are introspective, but more curious and comforting than the teary poetry the themes might suggest. In the Donovan-inspired "Crazy," Segall seems to recall his father, while singing to his sister: "Oh, little one / don't forget where you come from / You and me, we are one / you the little one / 'cause he's here, he's still here." Clocking in at a perfectly paced 36 minutes, Sleeper is raw and sometimes frayed, but not ragged. With few exceptions, Segall plays all the instruments and keeps the mix spare. His greatest strength, as always, lies in his gift for arresting melodies and hooks, drawing inspiration from late-'60s and early-'70s folk and rock. In "She Don't Care," a possible kiss-off to his mother, Segall sounds like a less ornate Moody Blues. "Come Outside" recalls the playfully strange solo work of Pink Floyd founding member Syd Barrett, while "Sweet C.C." digs into the sort of psychedelic acoustic grooves popularized by T. Rex frontman Mark Bolan. Sleeper closes with "The West," a jubilant, folky romp with the album's sweetest harmonies. "Where do I go home? / Is it in the west, to my father's house?" Segall sings before closing the cut with a joyful holler. It feels like a final farewell, perhaps to the previous year's grief and loss. But this isn't the last we'll hear from Ty Segall: That new band he announced in January, Fuzz, will release its self-titled debut in October.